Trees are essential for our lives our life can continue only because of plants and trees. Without them our life will become very difficult. 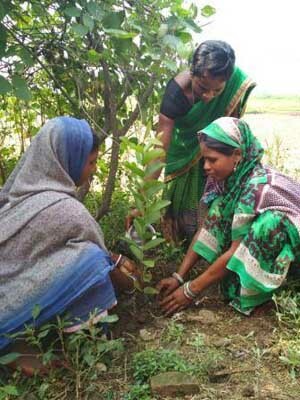 It is very important to plant trees and plants all around us. 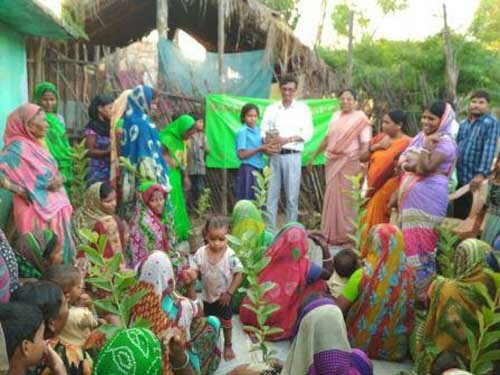 BDVS through its new impetus on helping local communities plant kitchen gardens of useful shrubs, herbs and vegetables aims at two objectives: the increasing of green cover as well as providing the poor with vegetables and nutrition that will help them save precious money. The Mata samities have not only been provided with seeds and saplings and basic training, but what is important is that these vegetables will be produced using organic manure. 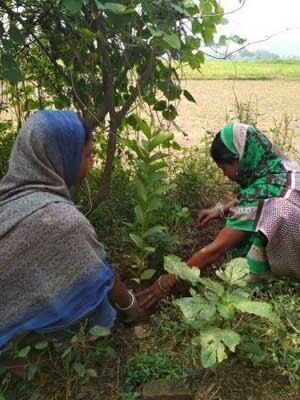 Thus BDVS has created awareness on eco-friendly adoptions and is taking steps towards protecting the mother earth. 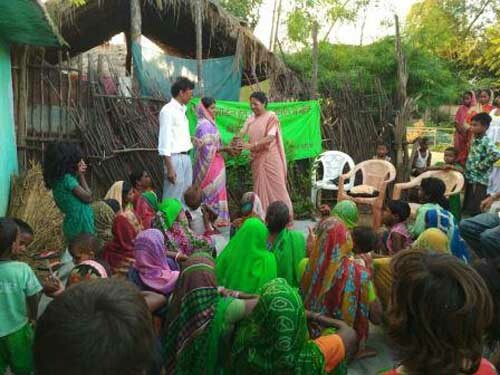 It will also help poor families with a bit of food security, once the vegetables start growing. 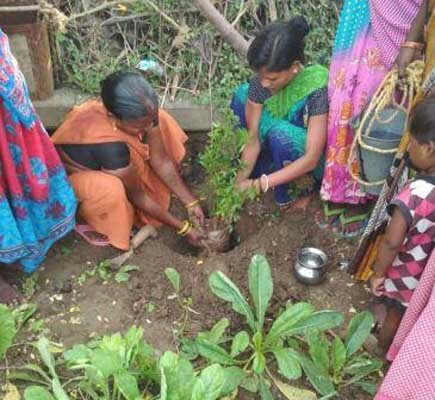 Mata Samities in Haveli Kharagpur have taken on the initiative to plant around 300 different types of shrubs and saplings in and around their houses. 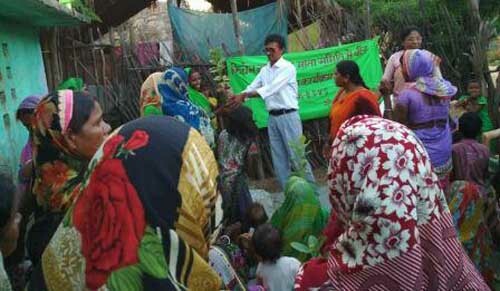 The Mata Samities have also distributed many plants obtained via BDVS to the villagers to create kitchen gardens.